I’ve written about Scomadi’s before, (check out the previous post, here) the “modern classic” scooter based upon the classic GP styling beloved of so many. A true classic Lambretta profile, albeit with 21st century technology, reliability and functionality. A complete win/win surely. Intially, the Scomadi scooter was a rare beast, available hand built only to the lucky few with pockets deep enough. An initial ‘limited edition’ production run of ten 250cc machines proved that the concept worked, with reports of a smooth, fast, reliable and very rideable scooter. 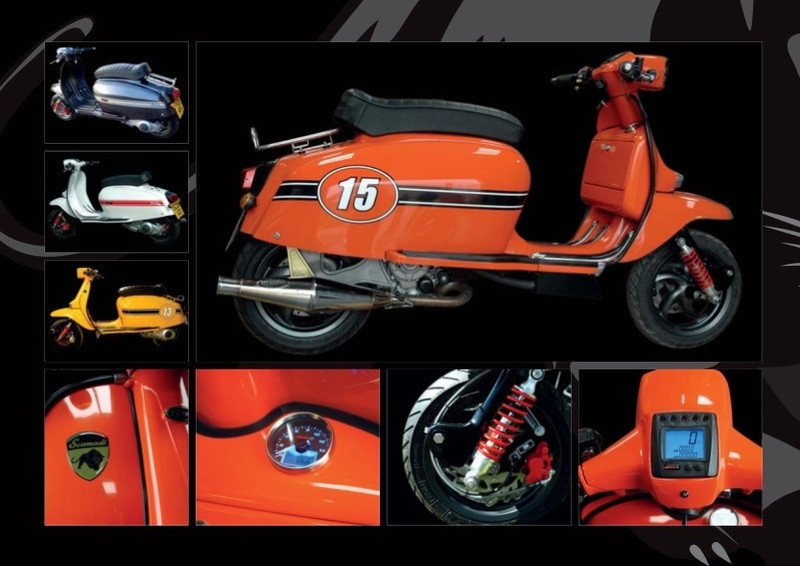 Demand was such that Lambretta Innovations, the team behind the Scomadi marque (consisting of an alliance between Scooter Innovations and PM Tuning), put together another 30 machines. Lightweight but super strong carbon fibre panels coupled with the proven Piaggio power unit made the “Turismo Leggera” a modern scooter as good as anything else on sale today, and ten times better looking. Now Scomadi are ramping up production with 50 and 125cc variants… launched at EICMA 2013 in Milan, and hitting the sweet spot for many first time scooter buyers. For the more demanding rider there is the flagship 300cc, 22HP TL300. Pricing is yet to be confirmed, but I doubt that they will be cheap! To find out more, including specs, check out the Scomadi website, here: www.scomadi.co.uk or their Facebook page (which generally has the most up to date stuff) here. Found via the excellent SooterNova blog. This entry was posted in News, Not a Lambretta and tagged auto, DL, EICMA 2013, GP, Lambretta, Lambretta Innovations, Milan, Piaggio, PM Tuning, Scomadi, Scooter Innovations, TL125, TL300, TL50, Turismo Leggera by crocodilejock. Bookmark the permalink. Mark, I can only quote you this from the Scomadi Facebook page: “Thank you to everybody who has shown interest in our new production Scomadi’s over the past couple of months… Please note that the 50cc and 125cc will be first in the pipeline with the 300cc to follow… We don’t currently have any production information on the 300cc model however we will post any updates on here as soon as we have them! We appreciate your patience” Follow them on Facebook here: https://www.facebook.com/pages/Scomadi-Ltd/150062568544 or check out there website: http://www.scomadi.co.uk. 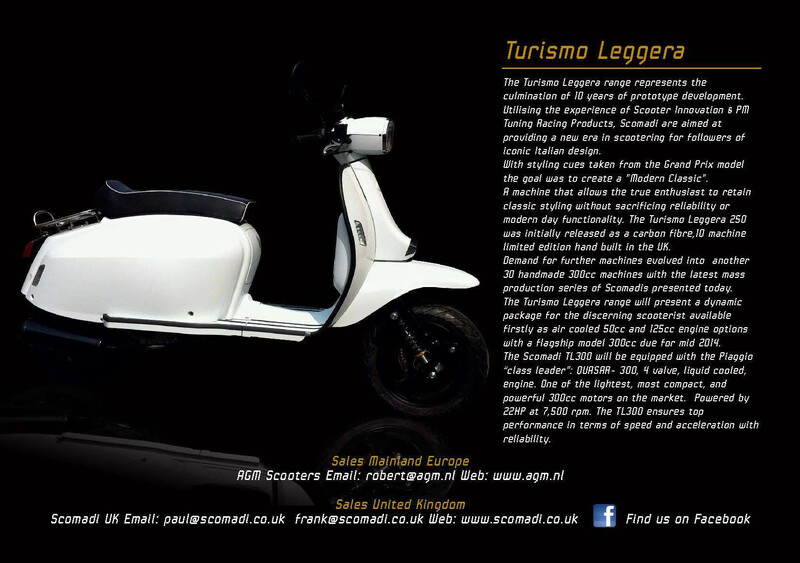 You could also contact Frank on frank@scomadi.co.uk, or Paul paul@scomadi.co.uk. Thanks Alian, I’ll add to to my ‘dealers’ section when I get five minutes. 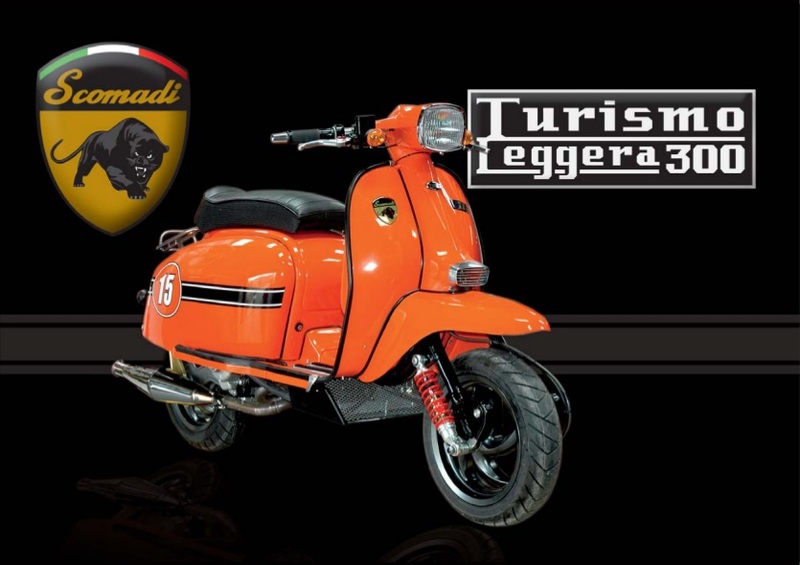 Good luck with the Scomadi’s! I’m guessing you mean a Scomadi, and the dreaded autocorrect changed it… your best bet is to get in touch with someone who know what their doing with autos… like PM Tuning https://www.pmtuning.co.uk they’ll be able to give you better advice than me.